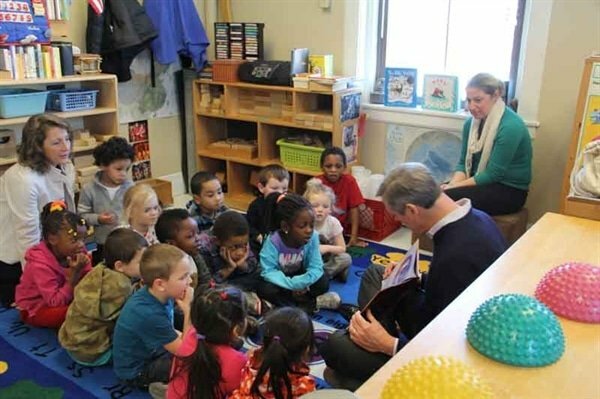 On February 7, 2014 Republican candidate for Governor, Charlie, his wife Lauren and Karyn Polito, candidate for Lieutenant Governor visited Rainbow Child Development Center. The visit comprised of Joyce Rowell, Ex. Director, providing an overview of The Center. Each of Rainbow’s three programs displayed samples of student’s work that ranged from Science Technology, Engineering and Mathematics (STEM), Art, Literature and Creative Movement Programs. 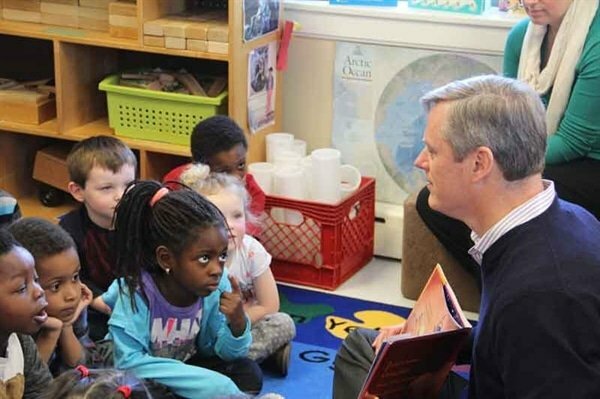 The Bakers, Karyn Polito and Baker Campaign Team were impressed with Rainbow’s cross functional work with State Agencies, Foundations, nonprofit and private sector. 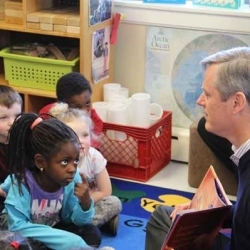 They clearly understood the importance of quality early childhood programs for disadvantage children is cost efficient, close the achievement gap and ultimately improve economic productivity. 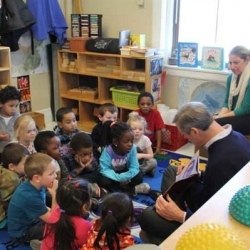 Their visit concluded with Charlie reading a book to preschool students.